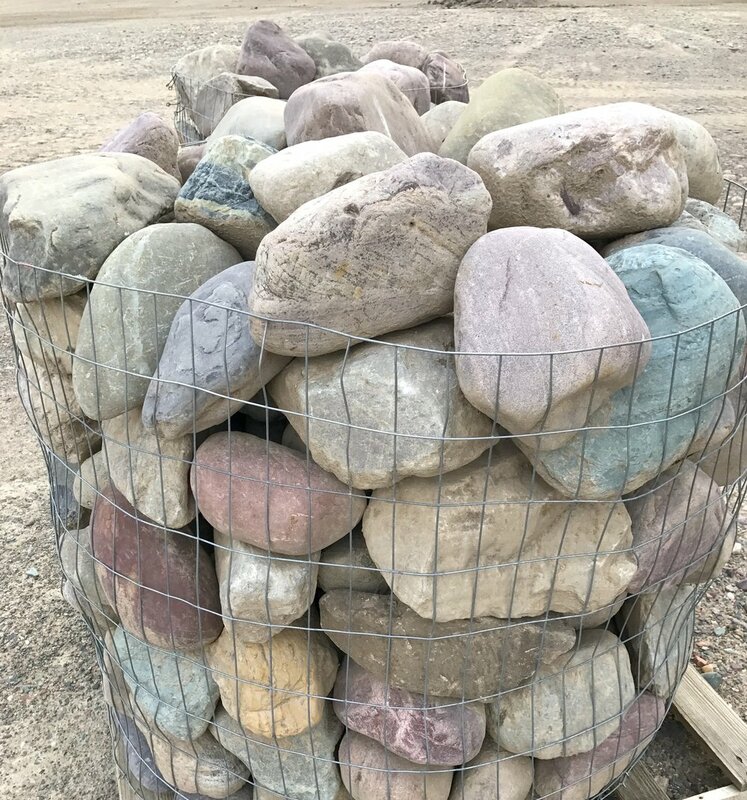 Our natural rainbow river rock is well-known for it's beautiful multi-colored reds, blues, purples, greens, and pinks. 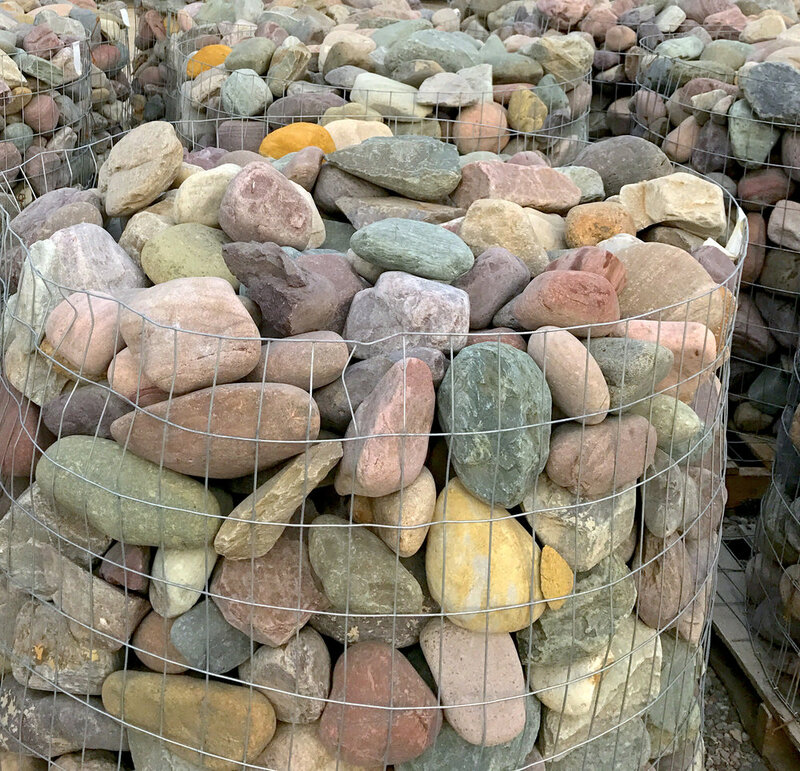 We sort rocks into various sizes so you can easily find the rock to suit your project. The colors of the rainbow mixed with the patterns of the earth all form Rainbow River Rock. Unlike any stone you have ever seen, Rainbow River Rocks are found in the ground and streams of Montana. Available in ¾", 1 ½", and 3" sizes. 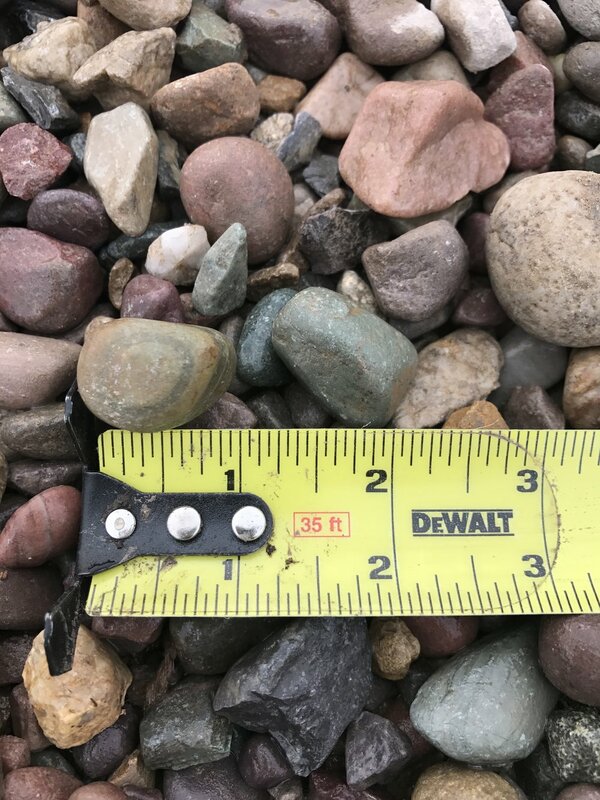 All stones are hand sorted and palletized for size and quality. We offer pallets with 4" x 8", 8" x 12", 12" x 16" cobblestones for landscaping. Seal the stone to lock in the wet look or watch the stone change with light and daily conditions. 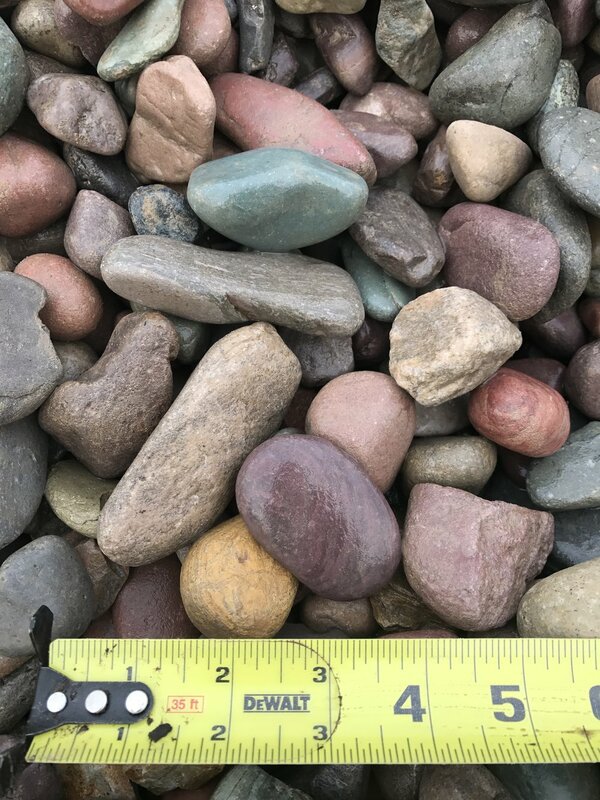 Perfect for walls of color and natural waterfalls, this rock will add color and dimension to any landscape area. Create a dry stack look with no mortar or use a structurally sound formula with Portland Cement. This size is great for borders or accents in flowerbeds. Water features look natural with river rock in stream beds and along the shore. Create the perfect border of smooth edges of any stone around spas and patios. 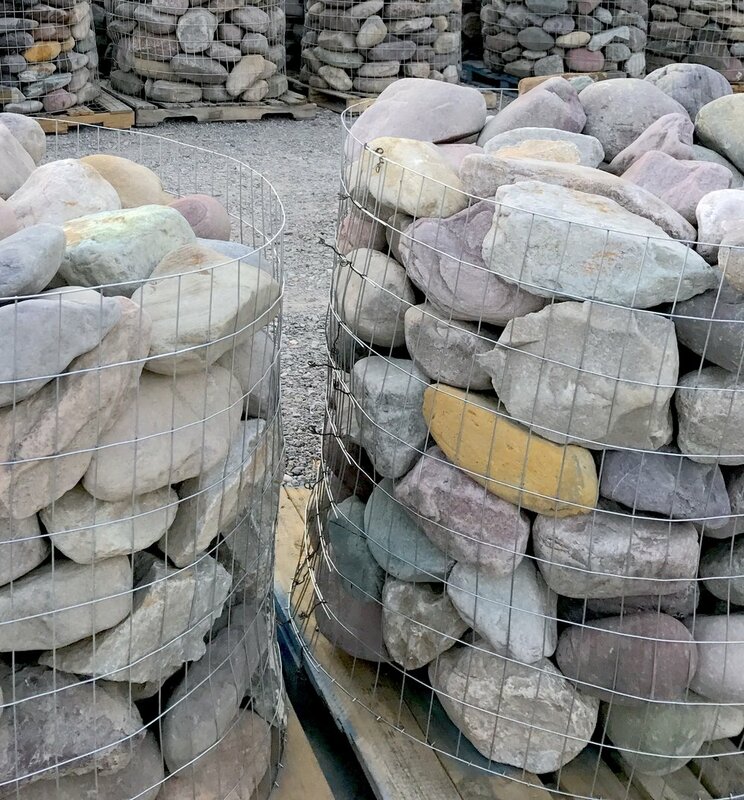 These larger sized rocks make great loose-stacked walls or larger accents in your yard or water feature. Flats are great for pond edging or masonry walls. Ideally suited for flat surfaces like steps and veneering areas where weight is a factor. 1" to 3" thick.